DOONESBURY ON CROSSCURRENTS, 10/26 – Doggedly Yours… Howling, Humor, and History. DOONESBURY ON CROSSCURRENTS, 10/26: A generation of readers have grown up, and experienced life, with the comic strip characters of Doonesbury which was launched on this date in 1970 from the pen of Gary Trudeau. 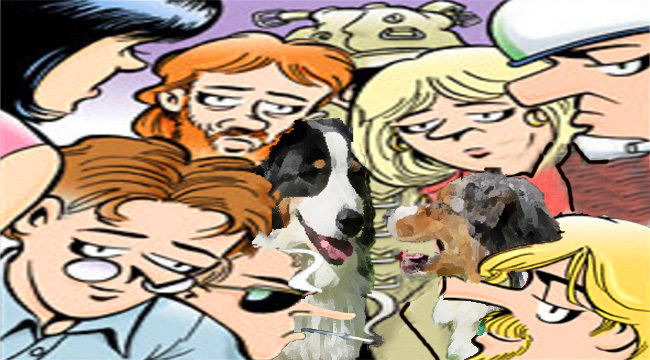 Gavin and Wyatt reflect on lifestyle and politics with the Doonesbury cast in a collective portrait. We hope you can join the anniversary as John honors the cast of Doonesbury characters on Crosscurrents, 10/26 at 8 a.m.